Home / Politics / About 12 law makers of the Benue State House of Assembly commenced Removal process against Governor Samuel Ortom. About 12 law makers of the Benue State House of Assembly commenced Removal process against Governor Samuel Ortom. 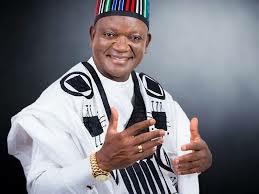 About 12 law makers of the Benue State House of Assembly, sat in Makurdi today and commenced Removal process against Governor Samuel Ortom, over alleged abuse of office and corrupt practices. The 12 Members led by the impeached Speaker, Terkimbi Ikyange, sat under tight Security, to announce the decision and served the Removal notice on the Governor.